Buy serious seeds online now and get the best prices online. 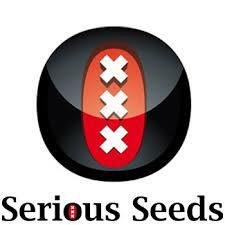 Serious seeds is a small Dutch seed company which has produced some of the cannabis worlds most famous strains. The breeder who produces the seeds is called Simon and started his breeding career at the Sensi Seedbank. After learning his craft he joined up with a couple of Americans and worked on some strains which would eventually become the Chronic and AK47. Ak47 and the Chronic have won multiple cannabis cups between them and have spawned many copies and related strains but if you want the pure original genetics you have to get them from Serious seeds. The Serious seedbank focus 100% on quality control so their strains are not mass produced and often sell out – but them when you get the chance!